January 10, 2002 saw the launch of the first and only infant formula in the US to contain DHA and ARA. I have been calling for these ingredients in US formulas here at DrGreene.com since 1996. These nutrients are naturally found in breast milk and have been shown to support infant mental and visual development. Formula containing DHA and ARA has been fed to babies around the world for more than five years. Currently, DHA- and ARA-enriched formulas are available in more than 60 countries, including the United Kingdom and Hong Kong. 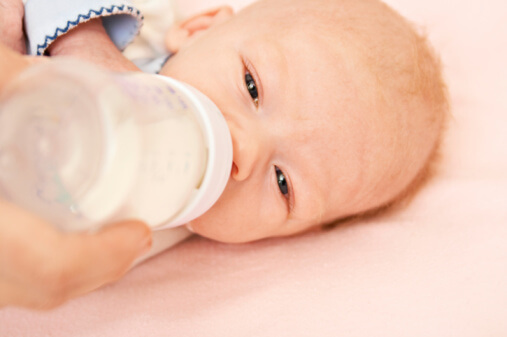 Mead Johnson has now received clearance from the FDA to add LIPIL to their infant formula. LIPIL is their unique blend of DHA and ARA that approximates the levels found in breast milk around the world. It will be on stores shelves in February. Research funded by the National Institutes of Child Health and Development (NICHD) found that infants fed Enfamil LIPIL scored approximately seven points higher on a 100-point scale on a test of mental development at 18-months compared to infants fed the control formula without added DHA and ARA. The study also found that infants fed Enfamil LIPIL had improved visual acuity equal to about one line on a vision chart during the first year. I agree with the World Health Organization in urging mothers to breast feed for the first year. I also agree with the World Health Organization in recommending that DHA and ARA be added to infant formulas. When babies are on formula, I am thrilled that formula containing DHA and ARA is available. It’s a great day for babies!